With a few important exceptions, all the property that was acquired during a marriage is considered marital property. Marital property normally includes such things as houses, cars, furniture, appliances, stocks, bonds, jewelry, bank accounts, pensions, retirement plans and IRA’s. It generally does not include the value of professional degrees/licenses. All property obtained during the course of the marriage is marital property, regardless of who paid for it. The exception to this general rule is property received by one spouse as a gift, inheritance from a third party, or excluded by a valid agreement. As stated above, this property is considered non-marital property. Marital property can include real estate, bank accounts, stock, furniture, pensions and retirement assets, cars and other personal property. Non-Marital Property is any property obtained prior to the marriage. It remains the property of the party who owned it prior to the marriage. Non-marital property remains non-marital as long as it is not gifted or titled to the other spouse. Any property received by a spouse by gift or inheritance during the marriage from a third party remains the non-marital property of that spouse unless gifted or titled to the other spouse. Property acquired by the two of you during a period you lived together before marriage is not considered marital property. If the marriage is dissolved and one spouse wants to claim particular items as his or her own, the person must have proof that the property in question belongs to him or her alone. A couple may acquire joint ownership in property brought to their marriage by either spouse through appropriate agreements or transfers of title. Non-marital property is protected from the debts of the other spouse. Each party has the power to dispose of property owned by him or her alone, as if unmarried. A married person may engage in business, make contracts, bring lawsuits, and be sued in his or her own name. Neither spouse is liable for contracts made by the other spouse in his or her name or for the debts the other spouse may have acquired prior to marriage. Some assets can be both marital and non-marital property. A house that was purchased before the marriage is not marital property. However, when you and/or your spouse use marital funds to pay the mortgage, the house then becomes part marital and part non-marital. Real property that is held by “tenants by the entireties” is considered marital property unless you have a valid agreement to exclude it. If you and your ex-spouse cannot agree on how to divide your property, the court will decide what is marital property and how much that property is worth. The court will also look at any marital debts when determining the value of the marital property. The court will then determine each spouse’s share of the property. The court will use a variety of factors (see below) to decide the relative value of each spouse’s share of the marital property. Under the Maryland Marital Property Act, the court can consider both the monetary and non-monetary contributions of each spouse to the marriage. Non-monetary contributions can include childcare, meal preparation, maintaining the home, etc. The court cannot transfer property titled in one spouse's name to the other. Instead, the court will give the spouse without title a monetary award to cover their share of the property. If the property cannot be divided (such as a house), the court will decide on a value. One person can “buy out” the other person as long as both parties agree to it. Otherwise the asset may be sold and the funds divided. In Maryland, the court does not decide what to do about the marital assets to be divided. Property jointly owned by husband and wife cannot be sold by one without the consent of the other. The creditors of one spouse may not make a claim to it. However, a creditor of both parties may move against property jointly owned. Upon the death of either spouse, the survivor becomes the sole owner of property held jointly by the couple. This is true even if the spouse dies without a will. This is in addition to the property rights discussed below. When a spouse dies without a written will, state law governs the division of his or her property. In Maryland, the share of the surviving spouse depends, generally, on whether the deceased spouse has surviving children or parents. If there are surviving children and any of these children are under the age of 18, the surviving spouse receives one-half of the property of the estate after all debts, funeral expenses and taxes have been paid. If there are surviving children, but none of the children are under the age of 18, the debts, funeral expenses, and taxes are paid and then the surviving spouse receives the first $15,000 plus one-half of whatever is left. The children share the balance equally. If there are no surviving children, but there is a surviving parent of the person who died, the debts, funeral expenses and taxes are paid, and the surviving spouse then gets $15,000 plus one-half of whatever is left. The balance passes to the surviving parent or parents. If there are no surviving children and no surviving parents, the surviving spouse receives all the estate remaining after debts, funeral expenses and taxes have been paid. 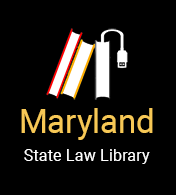 Learn more about Maryland Intestacy law. The parties may agree on the division of any property held by them without the assistance of the court. If the parties do not have an agreement, Maryland's Marital Property Act governs the division of property. Under the act, all marital property is subject to equitable distribution. When the court makes an equitable distribution of the property, the court first determines what property belonging to the couple is marital property. It then determines the value of that property. The contribution of either party to the acquisition of the property is also considered. For example, if a husband owns $10,000 worth of stock titled in his name and purchased with his salary earned during the marriage, that stock is marital property. The court has no authority to transfer the stock or any portion of it to the wife. It can, however, take into account the factors listed above and grant a monetary award to the wife based on the value of the stock. The court is not required to award 50% of the value of the stock or any set percentage. The amount of the award and the method of its payment are determined after consideration of each of all of the above listed equitable distribution factors. This area of the law is very complex. If there are property interests, advice from an attorney is essential. Pensions can also be part of the marital property “pool.” The court has the ability to determine whether the pension should be included in the marital property and if so, what its value is. After the court makes its determination, it can transfer ownership of an interest in a pension, retirement, profit sharing, or deferred compensation plan from one spouse to the other (or both) and/or grant a monetary award to provide for an equitable distribution of the pension. This area of the law is very complex. If there is a pension, advice from an attorney is essential. In addition to the concept of marital property, there is also property that is categorized as “family use personal property.” Family use personal property includes the family home, car, furniture, appliances, etc. The court has the authority to award exclusive use and possession of the family home and other family use property to the spouse with custody of the minor child or children. The purpose of such an award is to permit children to continue to live in an environment and community which is familiar to them. Such an award can last for up to three years from the date of the decree. Any hardship imposed upon the spouse whose interest in the family home or family use personal property is infringed upon by an order issued under this section. Separated spouses can still acquire marital property. For example, lottery winnings that resulted from a win on a ticket purchased two years after the parties separated (but before they divorced) are considered marital property. A: No. It was acquired prior to the marriage. Q: Is a medical/law degree marital property? A: No. Although professional degrees are marital property in some states, Maryland Courts have ruled that they are not marital property. However, there may be value to a professional practice separate from that degree. If a professional practice is involved it is necessary to obtain legal advice. Q: Do I lose the house if I commit adultery? A: If the house is jointly titled the court cannot change title. It cannot give the house to one party or the other. The court can consider the circumstances that contributed to the downfall of your marriage. This does not mean, however, that an adulterer's interest in property is automatically forfeited. The court may also decide to weigh one of the many other factors more heavily in its decision. Q: My spouse inherited property and added my name to the title. Do I get one-half the value when we get divorced? A: Not necessarily. The court must first determine if your spouse intended to give you a one-half interest in the property by adding your name to the title. If not, the court must then determine if any marital property or any of your separate property was used to improve or pay for the property. If so, you may still be entitled to a portion of the current value of the house. Q: Can my spouse take whatever my spouse wants of the furniture when he/she leave(s)? A: It is best if the parties can agree on a division of property. If there is a dispute and the police are called, the police will only allow a spouse to take clothing. In many cases a spouse leaves and takes whatever he/she wants while the other is not present. At the time of the divorce a judge can decide whether any items should be returned, if one spouse is entitled to a marital award (money) in lieu of the property taken, or if property should be sold and proceeds divided. However, most judges do not want to deal with tangible personal property. Q: Am I responsible for my spouse's debts? A: With regard to the creditor, only persons who co-signed as a guarantor would be responsible. The court cannot apportion debts between parties under Maryland law. Q: Do I get credit for making mortgage payments after a separation? A: Prior to divorce, such payments will be considered by the court in deciding an appropriate marital award. If payments are made after the divorce while one party has use and possession of the house, the court may adjust the parties' shares of the proceeds from the sale of the house to reflect a credit for payments. Whether the court will grant a claim for contribution will depend upon several factors, including whether alimony and child support were awarded during the use and possession period. Q: My spouse is an alcoholic and was in a bad accident. Can my house be taken to pay the victim's expenses? A: Joint assets cannot be attached if only one spouse is liable for the bill or debt. If the car was owned jointly, however, both the driver and the owner can be liable, and joint assets such as a house could be attached. Q: Should I co-sign for the home equity loan or guarantee a car loan or mortgage if we are not getting along? A: Consider that co-signing for a loan under these circumstances would mean that your liability for the loan could outlast your relationship. Contact a lawyer. Q: Our house was bought while we were married but is only in my spouse's name. Is it marital property? A: If a home was paid for with marital funds, it is marital property. If all funds used to pay came from a gift to your spouse or from your spouse's inheritance, the house may not be marital property.